Just serviced and anti - fouled December 2018 ready for summer! With a sleek sophisticated high end Italian design & a smooth powerful ride through the water, Capelli RIBS are extremely suited to the Australian lifestyle. Made in Cremona, Northern Italy, these are the highest quality of RIB manufacture. Capelli RIBS are the ultimate high speed luxury boat, not only extremely easy to handle & a responsive drive. This 500hp version is the perfect day boat, with interior fridge and toilet. Beautiful beige coloured tubes. There is a table and seating area aft and large deck and or sunbed area forward. The cabin sleeps 2 for the occasional overnight trip. It is has a huge carry capacity, registered for up to 18 people. 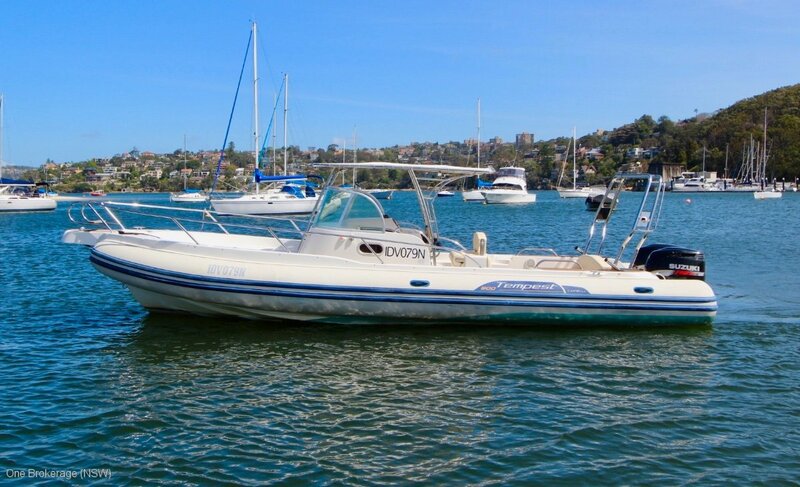 This is a well maintained boat, a reluctant sale but the owner is wanting move up to a larger vessel.